It's been quite a while since I've seen, let alone responded to, a Blog Bat Around, so when I saw that gcrl had posted a question I had to jump in on it. what cards have you owned that you regret are no longer in your collection? If I had answered this question about 5-7 years ago, there would have been a large list. But I've remedied a lot of those "holes" and so the list has dwindled down to just a few. But like gcrl, let's start with cards I used to own that I don't really miss. Let's start with the 1990s. I got my start in the "hobby" in 1989 but I don't think I visited my first card shop until around 1991. Certainly by 1992 my grandmother was having (cheap) boxes of cards delivered to my door, not to my mom taking me to local card shops. My school bus driver was a card collector too, and we ended up going to some flea markets and card shows, setting up as collector-dealers at least once. I sold off cards on multiple occasions in high school, but those were all duplicates. Certainly those haven't been missed. There's only one card I can remember selling before college where I didn't have a duplicate, and that was a Cal Ripken card that was booking at $100 due to his approaching "the record". I got full book for it from a dealer, not an easy feat. But I'm sure he at least got his money back. Heck, I don't even remember exactly which card it was. Probably something like a 1995 Leaf Statistical Standouts - still a $30 card today according to my modern Beckett. College and movie watching pulled me away from baseball in 1998. 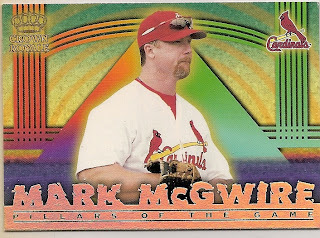 My lowering interest in cards and the home run chase of 1998 inspired me to pull all the McGwires and Sosas from my collection and toss them on eBay. I ended up doing quite well selling in small lots. It means that I busted up some complete sets, though I didn't open any sealed factory sets. When I returned to collecting, those holes in my sets were a bit of a nuisance, but not hard to replace. And I don't regret it now! When I returned to the hobby in 2003, I started small and slowly added more and more collections. A lot changed in cards between 1998 and 2003 - autographs and relics were a huge part of new product, as were parallels. Don't get me wrong, all of those existed when I left, but they weren't as prominent. I bought tons of singles, lots, and eventually boxes again. I had my type collection going, and I was building a few insert sets, but busting boxes was purely for the fun of it. I've had a few nice pulls, including a 2007 Allen and Ginter Bazooka parallel of Ken Griffey Jr. I sold that on the 'Bay for a good bit of pocket change that ended up financing several more cards. It would be a nice card to still own, and I have never owned another Bazooka parallel, But I don't regret getting rid of it. It was soon after then that I stopped, or at least dramatically cut back on, buying boxes. I open almost no product now, relying mostly on card shows, stores, trades, and online options. And I tailor my purchases to match my collecting needs, so there's nothing extra to sell or trade. But what about the regrets? 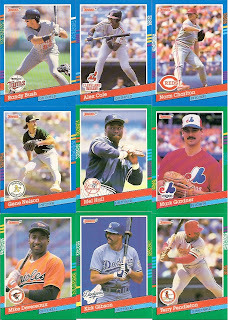 I once had a 1990 Leaf Frank Thomas rookie that I got rid of at some point - long story that involved some bad choices. I certainly regretted losing it. While I have a replacement now in my complete set, it's not the same as having that one from my childhood. While I wasn't collecting baseball cards for quite some time, I was still collecting other things. And I had dabbled a bit in movie cards as a child. So around 2000-2005, when prices and shipping were both cheap, I ended up amassing a nice collection of movie card sets and a ton of "hits" from movie and TV series sets, along with a really nice collection of baseball hits. And at some point during that period, I realized that I had lost focus on my collecting goals. So I blew them out, and made a pretty penny. But I got rid of a few really rare cards that I wish I hadn't. There were relic cards and autographs that I haven't seen since at a price I'm willing to pay. However, many of the ones I had before have re-entered my collection, and sometimes I came out on top. For example, I had a David Justice autograph that I remember selling for about $75, and my replacement, above, was obtained for less than $10. 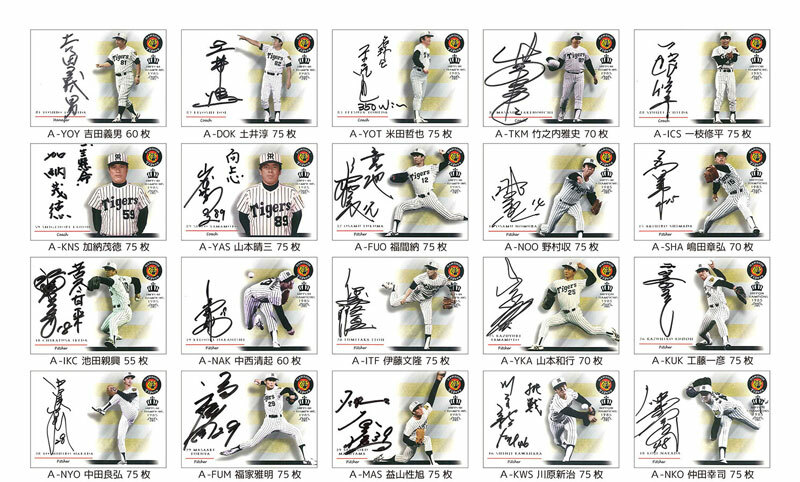 Similar to Calbee's baseball issues, the non-sport sets included with potato chips offer premiums through random inserted redemption cards or other mail-in offers. Evangelion has been featured in a few Calbee sets, including a multi-series run in the 1990s. During that release, they issued a few special items available through lucky cards included in "packs" of chips. One of those special items was a set of 10 postcards featuring art from the series. There appear to be three types: a three-card character subset with white borders, a six-card subset with art from the series, and a final card seen below with alternate art. I believe the postcards were available as a complete set. It looks like three different albums (card holders) were issued as well, seen below. Checklist sheets for each of the series were available in sticker format to put inside the album. I would be interested in more information about this issue. I think four series of cards were issued, so I would expect there to be four albums. But I also think the Asuka album might have been used for two series. And there could be other premium items available. Recent Pickup: 1998 BBM Uncut Sheet "40 Years of Shukan Baseball"
Before my trip to the US, I went down to Akihabara to pick up type cards for the newest releases. My usual source, Yellow Submarine, didn't have any of the latest singles, so I headed to Wrappers to do my shopping. I browsed the cases, something I don't really do very often, and happened to see this sitting inside! It's an uncut sheet from 1998 BBM. 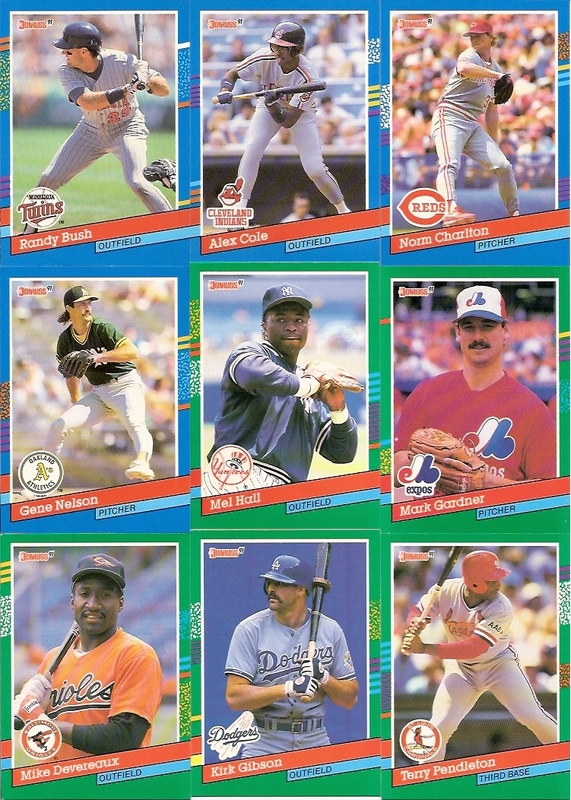 The nine cards were found, in standard-sized form, as part of the 1998 BBM set. In fact, the back of the sheet shows the original card numbering. But this uncut sheet was somehow distributed as well. 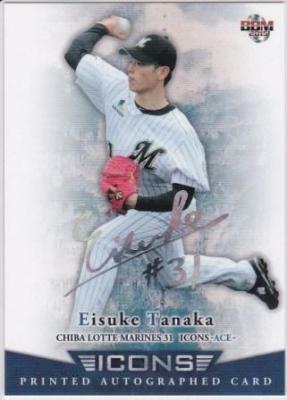 NPB Card Guy mentioned this in his write-up of the 1998 BBM set. I'm trying to put together the standard card form of this subset, and Wrappers had these priced quite high. But the price on the uncut sheet was too good to pass up. Perhaps I can finish the regular card subset soon too! Tokyo has a ton of card shops scattered around its cities and suburbs, Nagoya has a good share, and so does Osaka. But head outside of those urban areas, and card shops are few and far between. I believe there are two card shops on Shikoku island, both in Ehime Prefecture. I was able to visit one of them during my visit last year: Hot Box! !, a small store just north of Matsuyama Castle in the city of Matsuyama. The store has a bit of baseball, including an indeterminate supply of standard BBM card singles. There are interesting things in the store's cases, too, but it looks like most of their sales today come from gaming cards and box and pack sales. I found an intriguingly large selection of idol card singles here too, and while there was some effort made at some point to have a form of organization to the cards in the boxes, it looks like there is no one set system. I would like to return to Shikoku at some point, and I'll try to return to the store if I have the chance. While my first impression is that there isn't anything really special, and that it's quite unorganized, there could be some hidden gems. Not likely, but possible. The storefront is on the street that runs north-south; in other words, the store is on the western side of the building on the first floor. I picked up these two cards a couple months ago, but I can't exactly remember where... I might have added them in to a Yahoo! Auctions purchase. One has a black signature, while another has a white signature. 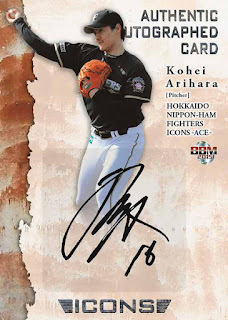 I don't believe the set has parallels, at least not as shown; I am guessing pitchers receive white signatures while position players get the black ones. This is based on prior sets where team issues have included different designs or colors based on positions. Any additional information (subsets, parallels, etc) is welcome. I haven't actually done any research to look for details. I'm always looking for true oddballs like these to add even more variety to my type collection! The 2015 Buffaloes team set from Frontier uses the same design as the Lions set I posted about yesterday, with only a color change to distinguish it. The regular set comes one per box, with 18 cards in the checklist. Teammates Combos: 2 cards. The card shown above is 5 copies, the other is numbered to 3. 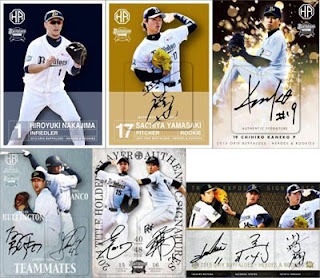 With the exception of two players in the Authentic Signature set, there are no red parallels in the Buffaloes set. By my count, less than 500 total sets were released. Frontier has issued only a couple sets so far this year, with the Lions being the first to hit shelves. This year's design is very simple, and as you can see the photo usage is pretty uninspired as well. 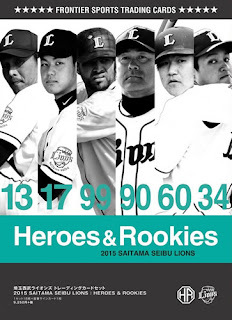 The name of the team sets has changed to Heroes and Rookies, which to me says that this year's rookie crop must be uninspiring. Of course, most people who buy sealed boxes of this product are chasing after the big hits. 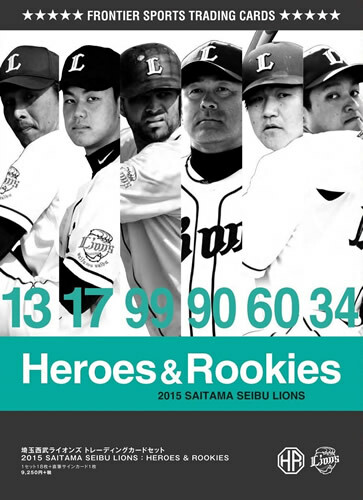 Rookies: 6 cards in the design of the base set. This is not a parallel. Almost all cards come in standard black (print runs of 23 or less) and parallel red (print runs of 8 or less) versions. Adding up all the cards gives a total set print run of less than 700. 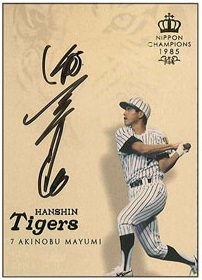 Despite their immense popularity and longevity (the team has existed since 1936), the Hanshin Tigers have only been Central League champions five times, winning the Japan Series only once. This card set honors that single victory. Clocking in at 45 cards, all but two of them feature members of that team - coaches and players. The biggest name as far as my interest in the team goes is Randy Bass, who, as NPB Card Guy mentioned in his post about this set, is the first foreigner in an Epoch box set in over five years. I chose the player above, Masahiro Tanaka, because of the name connection to the current Yankees pitcher. The last two cards in the set are horizontally situated. #44 features a composite shot of the heart of the 1985 Tigers lineup (Bass, Kakefu and Okada) while the final card of the set shows the victory celebration. The backs of the last two cards serve as checklists. Each box comes with 52 cards. 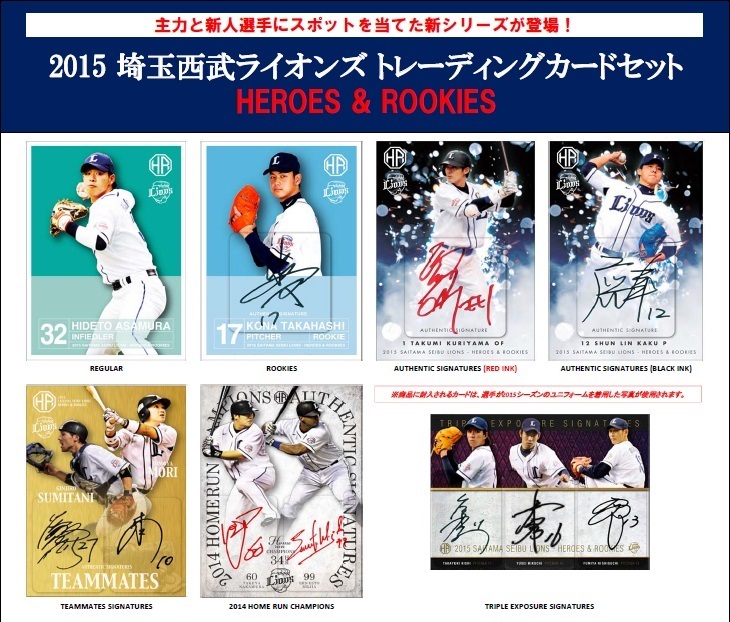 The seven extra cards include five parallels and two autographs. 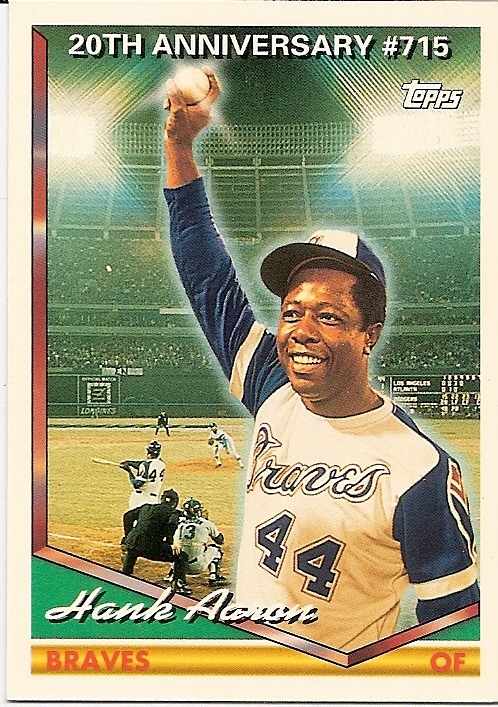 The parallels only have border color changes; black is not serial-numbered, while gold is numbered to 45 copies each. 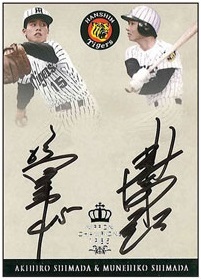 Yoshio Yoshida, manager of the '85 Tigers, has a pair of autographs (horizontal and vertical) numbered to 10. 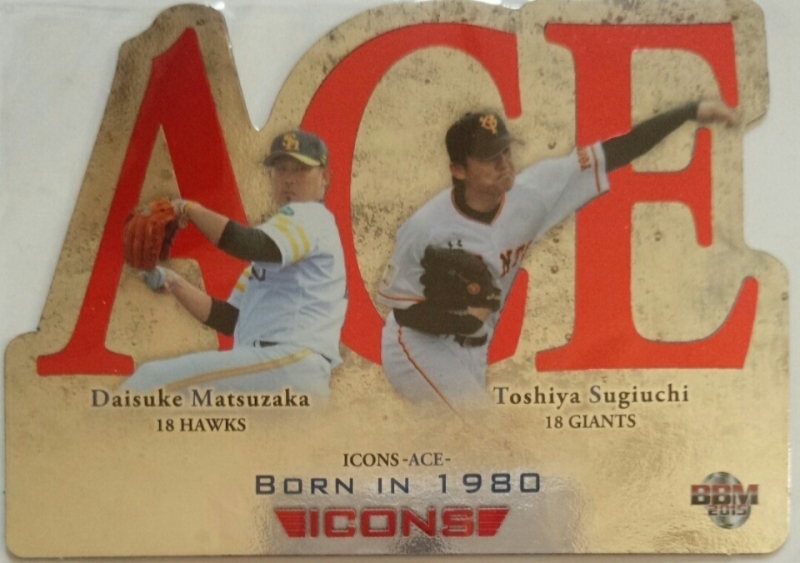 Both cards feature images of victory celebrations. 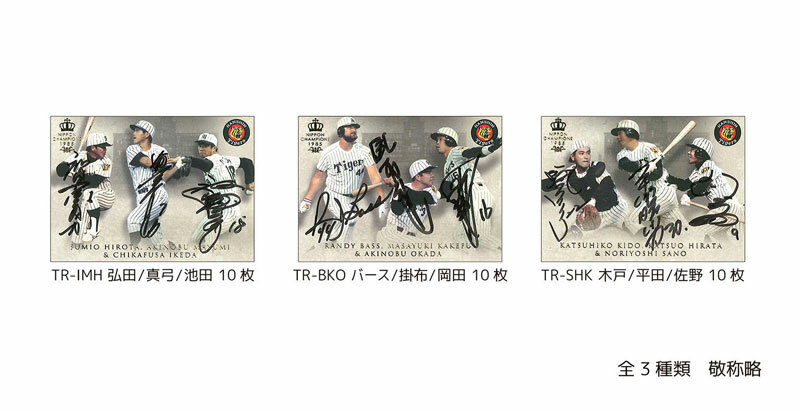 The "Starting Lineup" nine-card autograph set has gold foil, with cards limited to 5 or 10 copies each. "Combos" is an eight-card set with dual autographs, limited to 10 copies each. Some images in this post from Epoch. 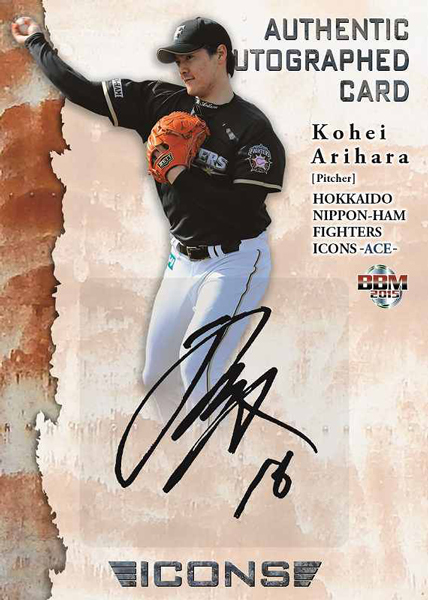 New Release: 2015 BBM Icons "Ace"
Definitely produced to capitalize on the return of Kuroda and Dice-K Matsuzaka, the third installment of the Icons box set has 36 base cards featuring the best pitches in NPB baseball. The design is about the same as prior issues, with modification of the color schemes being the only noticeable change. I wouldn't mind having a copy for myself, because this is the best Icons set yet! As always, each sealed box comes with one special card. There are four die-cut cards, each with two versions: a regular version (35 copies each) and one with red foil (15 copies each). 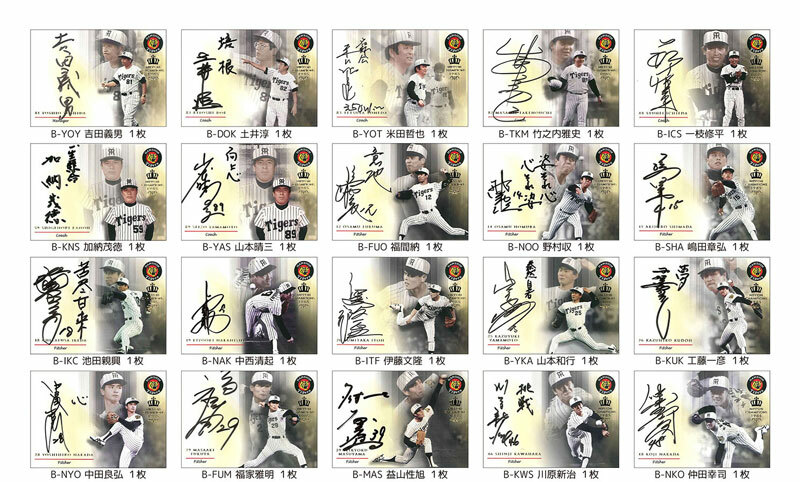 Printed Autographed Cards can be found for 18 players. Gold signature versions are numbered to 90 or 100 cards, while holofoil signatures are numbered between 20 and 30 copies each. Finally, authentic autographs are found for 26 subjects, with numbering between 10 and 30 copies each. A total of 3000 box sets were produced. There are 210 regular die-cut cards, 90 red foil die-cut cards, 1680 gold printed autographs, 422 holofoil printed autographs, and 598 authentic autographs. 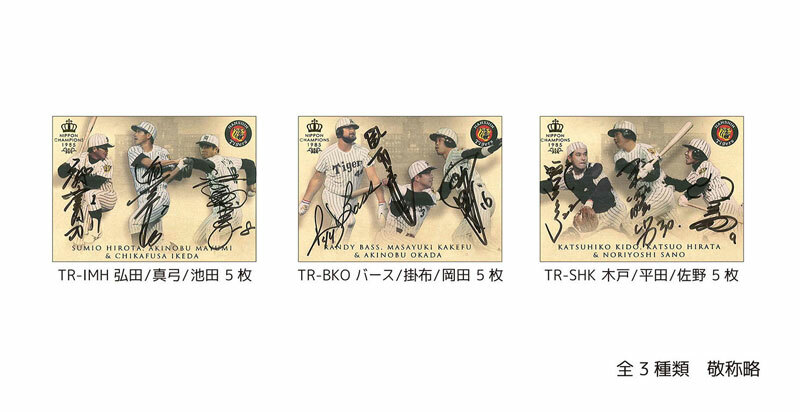 At 4000 yen per box, I'd hate to spend 20,000 yen for five boxes needed (on average) to get a single autograph of one of the unpopular players in the set. Vintage Star Wars Japanese Find! Wallet Card, I haven't forgotten you!